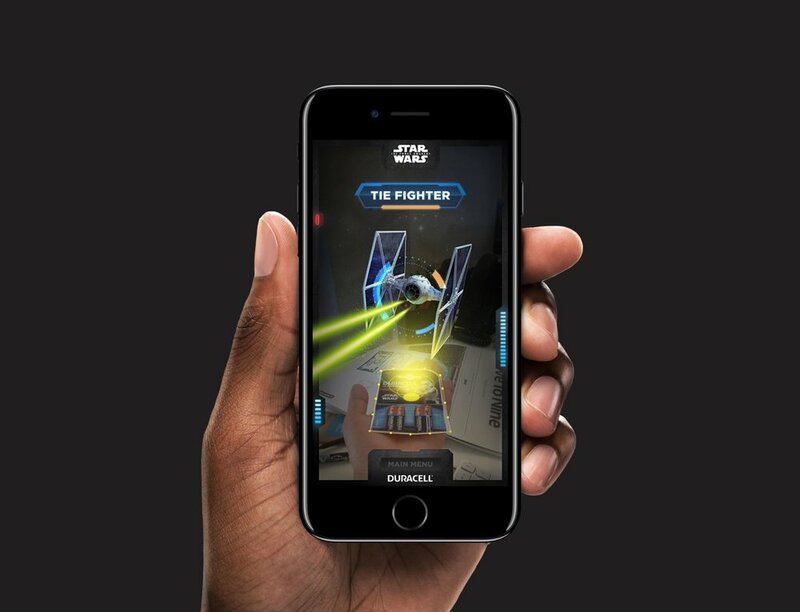 for the launch of “The Force Awakens” with use of AR and Blippar platform. To bring the partnership to life we’ve created an augmented reality experience built on a Blippar platform. After scanning special package of Duracell batteries, users were given an access to five different characters including: Falcon Millenium, R2-D2, C-3PO, Chewbacca and Kylo Ren. As addition to that users could were able to watch Behind the Scenes exclusive content and future updates.